Many circles of Western Psychology rely on a conception of the mind as separate from the body. Examples abound in contemporary speech from "sing from the heart, not the head" to "don't think, act", and there are plenty more. Neuroscientists have developed a more integrated approach to the brain over the last three-four decades that can be called a body/mind approach. With the body/mind concept, the brain is accepted as one organ, integral though it is, that relies equally on the other parts of the body. vocalist to focus their conscious mind on a certain part of the body, or engage in a particular focusing exercise, and then ask them what they felt. The vocalist's body does the work, the brain engages in its role as a part of the whole, and positive habituation ensues. From this concept flows the question of consciousness. If the brain is just a part of the whole, then what happens when we think, feel emotion, etc.? Neuroscientists are quick to point out that the body executes tens of trillions of actions every second, whereas, the conscious mind can only keep up with one thing at a time. This basic equation points to the profound limitations of our consciousness in actually making the human mechanism function. However, consciousness is one of humanities most uniquely developed traits, and one which, when integrated into the whole, can lead to powerful learning. Pick something you can focus on, ideally as specific a focus as possible. For example, "singing pretty" involves enormous variables, but "tongue position" limits those variables to one organ. Now choose a task like, saying [KI], [KU] [Kə], just for starters, to notice how the tongue moves in order to better understand how tongue position impacts vocalizing. 2. Do the experiment, or, go through the steps that outline your target, and let your body do what it does. For starters, speak [KI], [KU], [Kə]. 3. Assess Results. 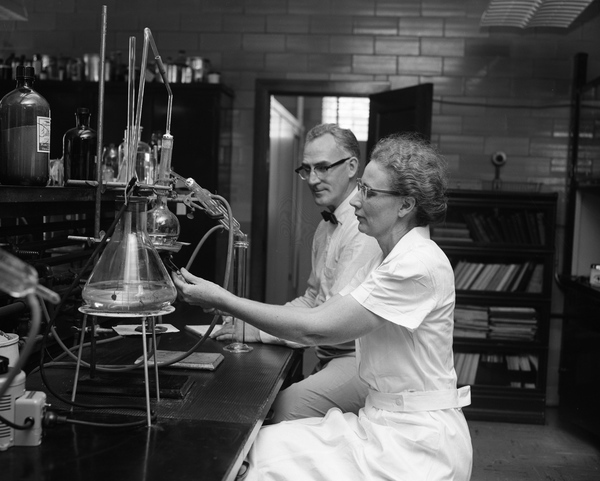 As you do the experiment, you'll want to pay attention to what you feel. Most people, when speaking [KI], [KU], [Kə], feel the air on the roof of their mouth move from the front of the hard palate [KI], to the middle [KU], and then the back [Kə]. 4. Do it again. Repetition is key, and helps your body habituate a process so that you don't have to employ your conscious mind in the future, thereby freeing it to focus on other, big picture targets. Between this step and step 1, you have a chance to refocus your target. What if you wanted to feel the air only at the front of the mouth, or the back of the mouth? You can ask your body to do that, try the experiment again, assess, and see what changes. Knowing why you want to adjust where you feel the air on the roof of your mouth will help guide you as you set up new targets. The ultimate goal is that the vocalist has an understanding of how tongue position impacts their sound, and that they habituate their tongue position such that the tongue maximizes their resonant strategy options. How do you pick targets and set up your own target practice? What muscles are used, what sensations do you feel when executing your current habits? What would you like to have happen? Here you have to apply a little scientific method. If you want to sing brighter, for example, you'll want to know that a forward tongue position tends to increase intensity in higher harmonics, therefore producing a brighter sound. So, create a hypothesis that leads to the creation of this target. What is one muscle or sensation that you can focus on as a target? How narrowly can you define your target to ensure that your results relate specifically to it? There are several books in the vocology and sports science canon that speak to Target Practice and the body/mind concept. 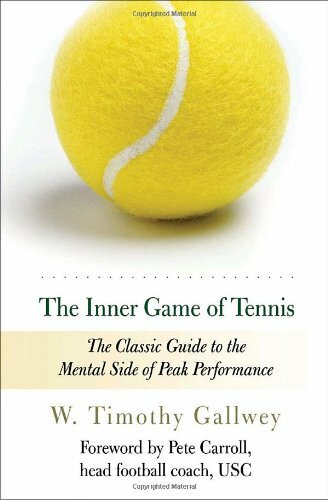 Gallwey's iconic The Inner Game of Tennis presents a well-organized application of Target Practice geared toward the game of tennis. His Self 1 (mind)/Self 2 (body) conception provides a clear framework for learners to begin to understand contemporary Neuroscience, the power of judgment-free instruction, and master tips for training. Translating his ideas into voice instruction can be illuminating for instructor and student alike. 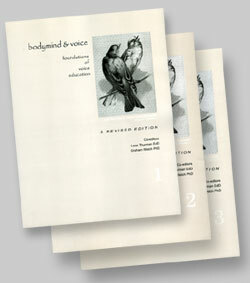 Leon Thurman's three-volume opus, Bodymind and Voice, created for the Voice Care Network summer course, delves more deeply into Neuroscience as it applies to voice learning, opening the reader into a world of interesting knowledge. The first book, in particular, explains the scientific explanation of body/mind integration in detail. •Target Practice works through repetition. 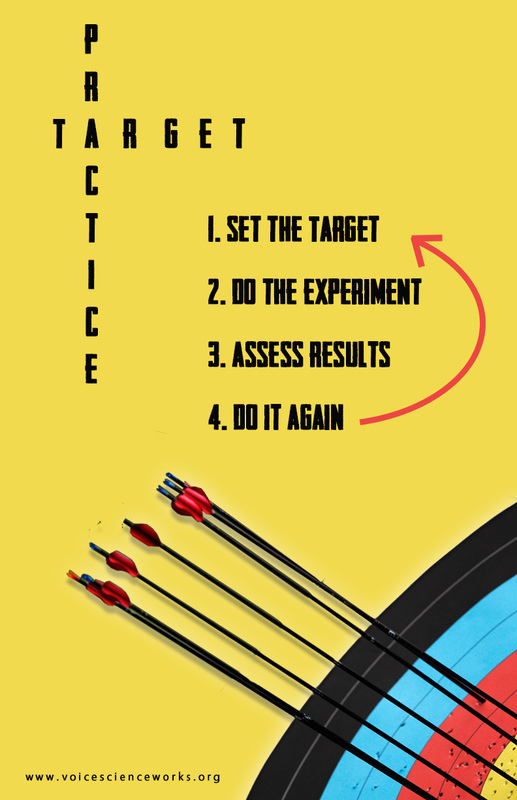 Contrary to many types of training, target practice requires that we execute the same target multiple times. Think about learning to play darts, and how many times you have to throw a dart before you hit bulls eye. Equally essential, we must learn to replace terms like good/bad with "on-target" and "off-target." Praise, though potentially uplifting, still engenders judgement. A "good" opens the door for a "bad", taking the learner off of their focus. Target Practice works best when we can narrow our focus to one focal point at a time, and then put it back together into the whole. Once you have repeated a new sensation to the point of feeling it habituated, do it again in the "old habit” way in order to notice the difference. Since your body has to learn separately from your consciousness, contrast provides one of the clearest learning tools. Contrast also alerts us to the reality that we don't have to "unlearn" old habits, we simply need to start new ones, and allow the body to notice the difference. Meditation, in the enlightenment-focused faith practices, bears similarities to target practice. Mingyur Rinpoche explains how setting the target of noticing ones breath allows people to habituate a meditative state that can be practiced regularly throughout the day. Noticing one's breath can be a valuable tool in vocal habilitation as well. Target Practice, when the learner is aware of the targets and how to assess them, allows two scientists to be the room, teacher and learner. When instructor and learner share power and responsibility, the learning process moves more quickly, and relates more specifically to the learner's needs. This concept works in group instruction too, even better, actually, since the instructor can't possibly hope to aid in the assessment of each student, but when each learner relies on self-observation, they can assess their own progress. When we compare Target Practice to other forms of teaching, two defining factors emerge. For teaching based in a brain-separate-from-body paradigm, instructors must rely on commanding the learner, but in a body/mind concept, the instructor and learner both rely on noticing. Example: "Put your tongue forward"
Example: "Notice where you feel your tongue inside your mouth"
Allows for "off target" as an equal learning opportunity to "on target"
The key to instruction rests on the learner understanding and habituating their experience. They accomplish these goals much more quickly when they are able to articulate their personal sensations. Further, if they chase after the instructor’s sensations, they are likely to find themselves more confused, and can create a series of negative ("off target") habits in an attempt to recreate instructor commands.